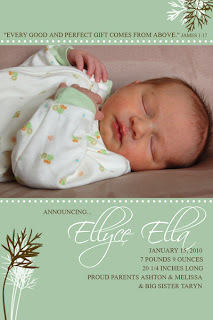 Green Pixel Designs & Printing is a home-based printing and design studio operated by local mom of two Melissa Buhler. Melissa has been designing web sites for small businesses and entrepreneurs since university. A few years ago, an opportunity arose for her to purchase a commercial photo printer, and Green Pixel Designs & Printing was born. A majority of Melissa's business comes from printing 12" X 12" pages for digital scrapbookers. However, she prints all standard sizes and many unique custom-sized prints on high-quality lustre or glossy paper. 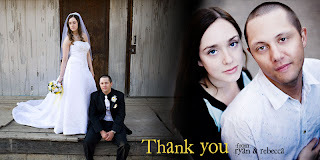 She also offers custom greeting cards, including baby announcements, Christmas cards, wedding invitations and thank-you notes. She creates canvas art as well. "Our print quality is far superior to anything you will get from your one-hour photo stops," Melissa said. "Plus, people are always surprised that our 8 X 10s are cheaper than Wal-Mart's." Green Pixel Designs & Printing is located just out of Saskatoon in Dalmeny. Its online store is available for convenient ordering. Often, Melissa delivers local orders to save customers on shipping. Green Pixel Designs & Printing is giving one lucky saskmom.com follower 30 4X8 custom cards. These are the perfect size for custom-made announcements, thank-you cards or invitations. You may enter this give-away twice. Earn one entry by visiting the Green Pixel Designs web site and sharing your favourite Green Pixel pre-made or custom photo canvas idea. (For example, I have the perfect spot in our house to hang the custom 6 X 6 three-tier photo canvas.) Earn a second entry by joining the Green Pixel Designs & Printing page on Facebook. Be sure to include your first name with your entry. A winner will be selected through Random.org on July 26 at noon.